Tipping off its 2017-18 season with its first practice Wednesday morning, the girls' basketball team is looking to continue its streak of playoff appearances. 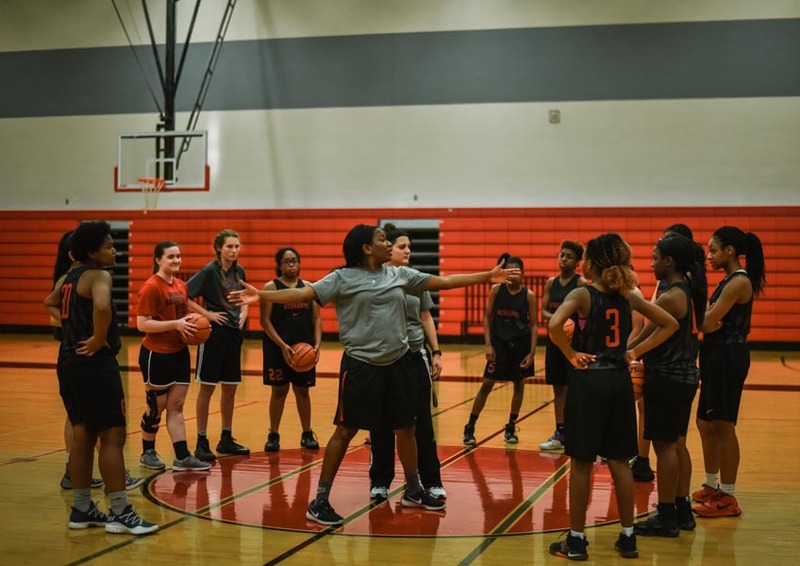 Basketball season is officially underway as the girls’ team held its first official practice on Wednesday as teams across Texas were eligible to start practice outside of school hours by UIL. With class of 2017 graduates Jordan Hamilton and Rebecca Lescay moving on to Northwestern and Tulsa respectively, this year’s team is going to have a different dynamic. Day one of the season serves as the foundation for the rest of the season.